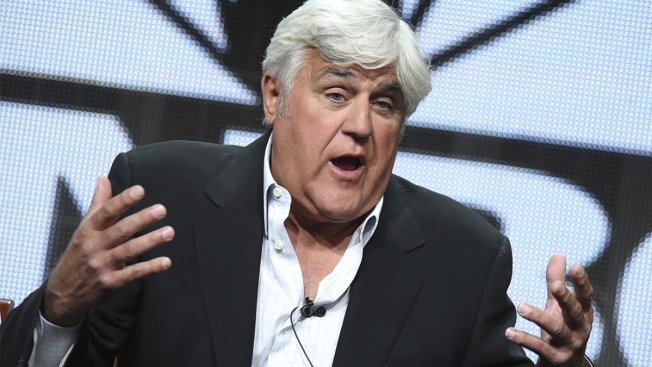 Jay Leno participates in the "Jay Leno's Garage" panel at the NBCUniversal Summer TCA Tour at the Beverly Hilton Hotel in Beverly Hills, Calif, Aug. 13, 2015. Former "Tonight Show" host Leno and his wife have purchased an oceanfront estate in Newport, Rhode Island. Leno, who grew up in Andover, Mass., paid $13.5 million for Seafair Mansion. Former "Tonight Show" host Jay Leno and his wife have purchased an oceanfront estate in Newport, Rhode Island. The Boston Globe reports Leno, who grew up in Andover, Massachusetts, paid $13.5 million for the mansion called Seafair. It has eight bedrooms and 11 bathrooms and comes with a pool, a tennis court and a private beach. Lucky for Leno, who collects cars, it also boasts a six-car garage. The house sits on 9 acres and was built in 1936. It was previously owned by Denver mining heir Verner Zevola Reed Jr., who was an American banker and diplomat. Reed served as U.S. ambassador to Morocco from 1981 to 1985.